Archery Tag® is the original family-friendly combat archery sport that everyone can play. At BattleGR Tactical Games, we make the game equal for all players by using real compound bows with a 20 lb draw weight. All arrows have a foam tip and fire at the same maximum speed, with a pain free impact. Book online now, or call (616) 345-0698 to schedule your party or event in the Grand Rapids area. The object is to get opposing team onto your side. One side has Zombies, and the other side has Humans. To win the game you need to shoot each player on the opposing team, bringing them to your side. Once you have eliminated each player from the opposing side, your team wins. Each side has a “President” who does not have a bow to shoot, and if he or she is shot the game is over. You have only one or two players with bows and the rest of the team is responsible for protecting the president by shielding them with their body or catching arrows. If one of the players who is protecting the president is hit by an arrow, they must leave the field for 30 seconds before returning. The first team to shoot the opposing team’s president wins. 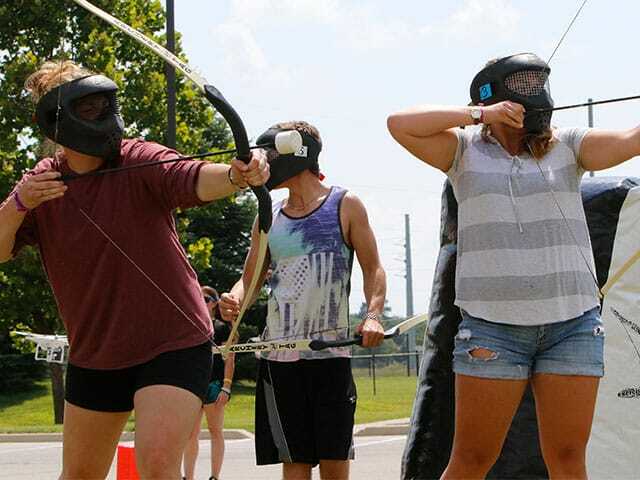 Located in Grand Rapids, MI, and serving the surrounding area including Grandville and Grand Haven, BattleGR offers a unique and exciting mobile archery tag playing experience. 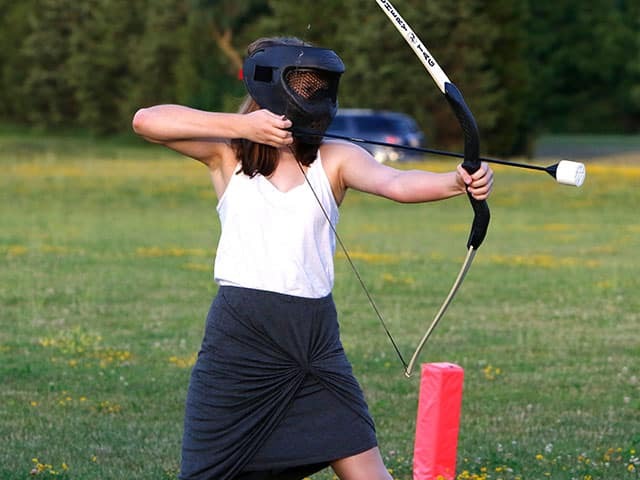 In addition to Archery Tag®, we offer indoor laser tag and mobile laser tag games. Book online now, or call (616) 345-0698 for more information.